Sauron, Lord of Mordor, is recovering his strength disguised as the Necromancer in Peter Jackson’s The Hobbit trilogy, but fans first met him in the acclaimed Lord of the Rings trilogy. Now he’s getting the Pop! Vinyl figure treatment. 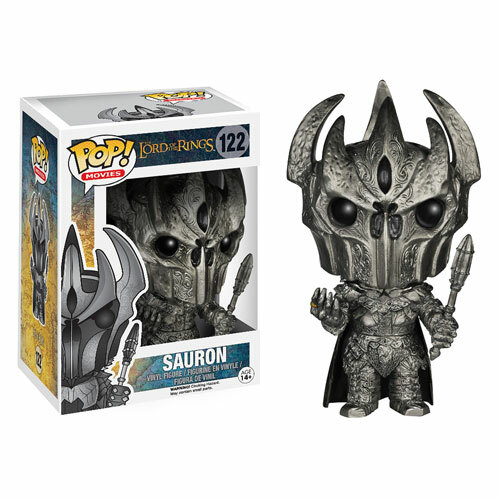 Measuring 3 3/4-inches tall, The Lord of the Rings Sauron Pop! Vinyl Figure is ready to terrorize your other Hobbit and Lord of the Rings Pop! Vinyl figures! Ages 14 and up.